In some ways China is as familiar to us as many of the products we use every day (a fair percentage of which were probably manufactured there). In other ways, the country can be a mystery to many people. Its languages are notoriously hard to learn and its culture can baffle those brought up in the West. Put these facts together with a complex legal system and it’s hardly a surprise that China is becoming known as a hub of trademark squatting. There are a few exceptions to this, such as in the case of brands, which meet the Chinese legal definition of being well-known, but the underlying principle of Chinese trademark law is basically “first come, first served”. With that in mind, start-up companies, which are unlikely to qualify as “well-known” might want to make it a priority to claim their trademark(s) in China, even if they are unclear if they ever intend to use them. This is possible because (at current time), it is possible to claim a trademark in China without having to make a declaration that you intend to use the mark in commerce, plus it takes three years for a mark to become vulnerable to cancellation, which is a fairly generous length of time. Pick some well-known brands and type them into a search engine followed by “in Chinese” and you’ll immediately see one of the biggest challenges to trademarking in China, namely that Chinese characters have basically nothing in common with the Roman letters used in (most of) the Western world. This creates a loophole for trademark squatting, since even companies which are legally-aware enough to register their main trademark(s), may fail to grasp the importance of registering a Chinese transliteration thereof or possibly more than one, since there could feasibly be more than one possible transliteration. Even if they know that they should do this, they may feel that it is too complex an issue for them. The solution here is to get local help. This will probably involve some money and effort, but in the general scale of doing business, these are both likely to be moderate. They may also help with marketing, since brand experts may be able to transliterate your brand in a way, which has an added positive meaning in Chinese. This tactic has been used by some very large brands including Coca Cola and Nike. As an added twist, you may wish to trademark the Latin equivalent of your Chinese transliteration. This may seem excessive until you realise that Michael Jordan has been fighting for ownership of the Jordan trademark in China for years now and is yet to achieve full success. In December 2016, he finally persuaded the Supreme Court to cancel the Chinese transliteration of his name, but they allowed the trademark squatters to keep using the Latin transliteration of the Chinese transliteration. Possibly the most (in)famous instance of this actually occurred in South Korea, when a company appropriated the Häagen-Dazs mark for use on handbags. For completeness, although S. Korea also works on “first-to-file” they recognise prior rights when brands are well-known anywhere in the world, whereas Chinese courts only recognise when they are well-known in China. 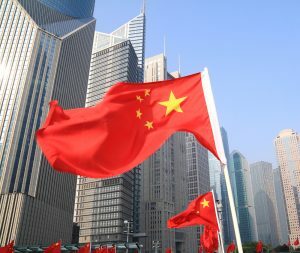 In addition, Chinese courts have traditionally been very loathe to cancel trademarks which are being used by companies producing goods or services which are different to those produced by the plaintiff company, even when they are operating in the same niche. The solution to this issue is to adopt a “broad-brush” approach to filing, by using what are essentially defensive applications, and this is an area where good legal advice could, literally, prove invaluable.